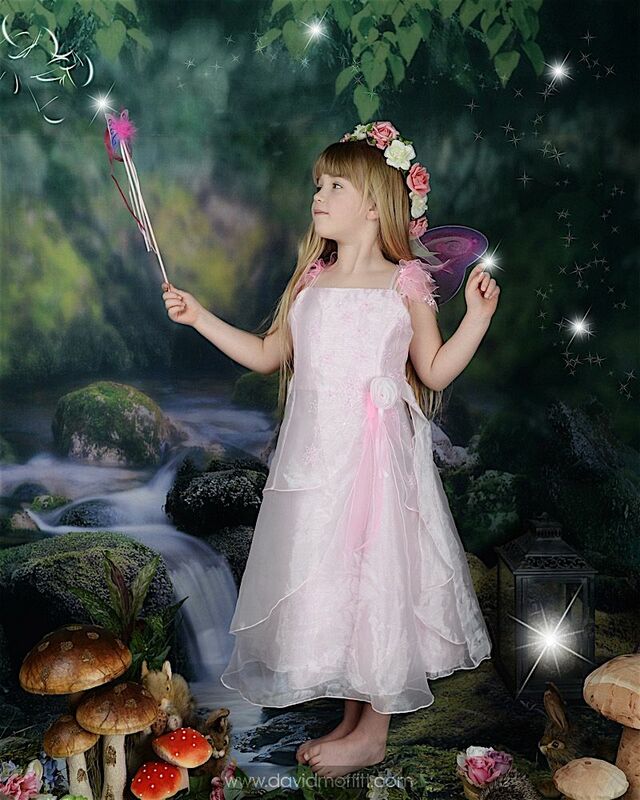 We supply all the costumes, head dresses, wings, props and fairy backgrounds. 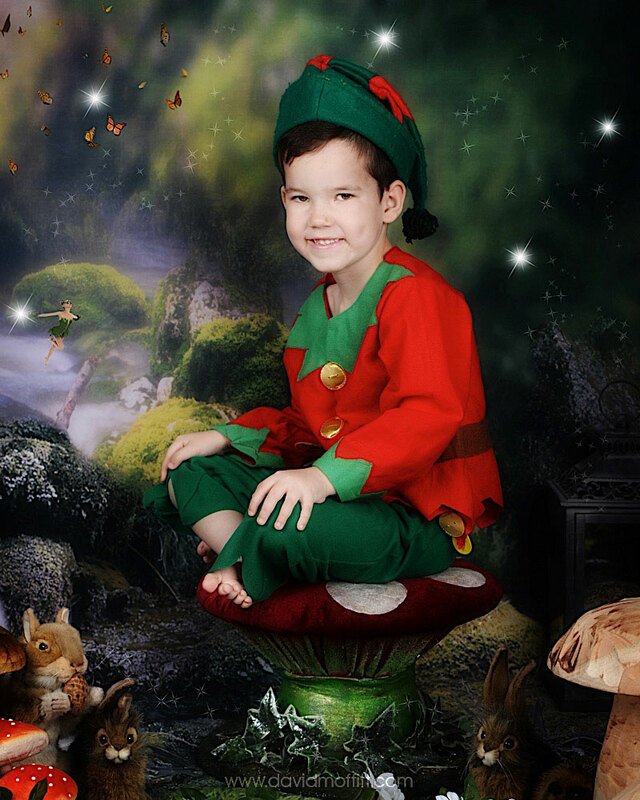 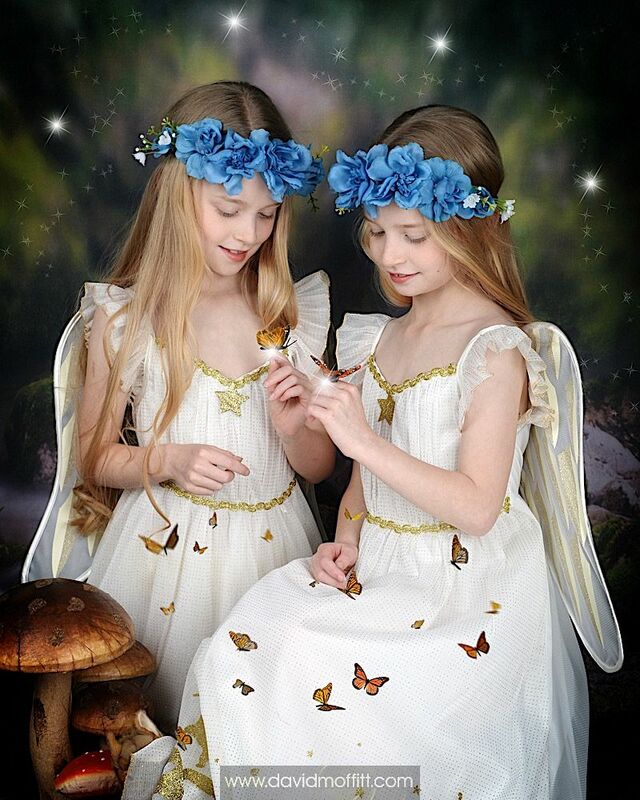 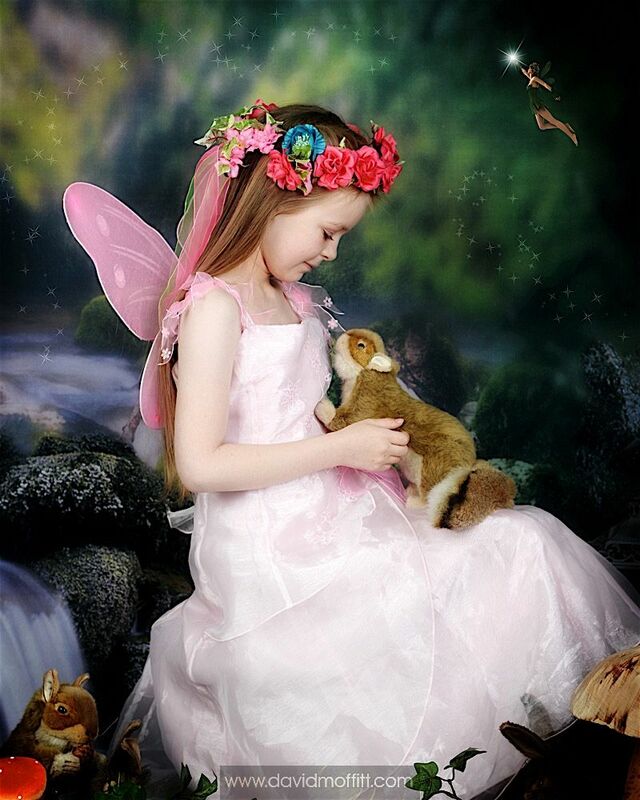 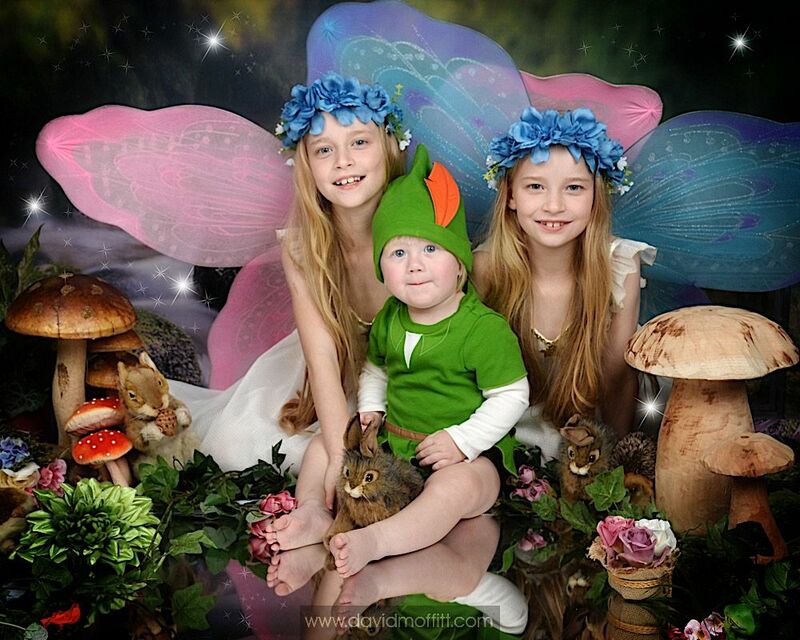 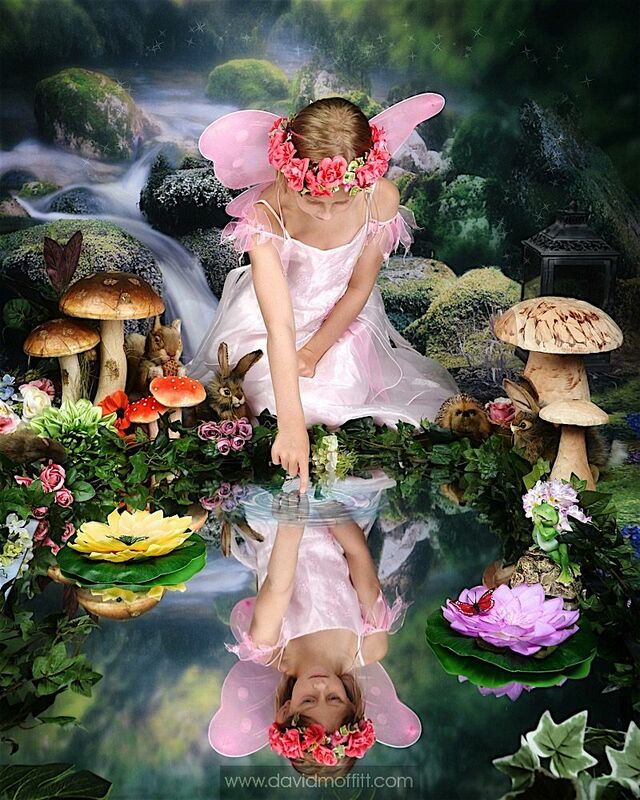 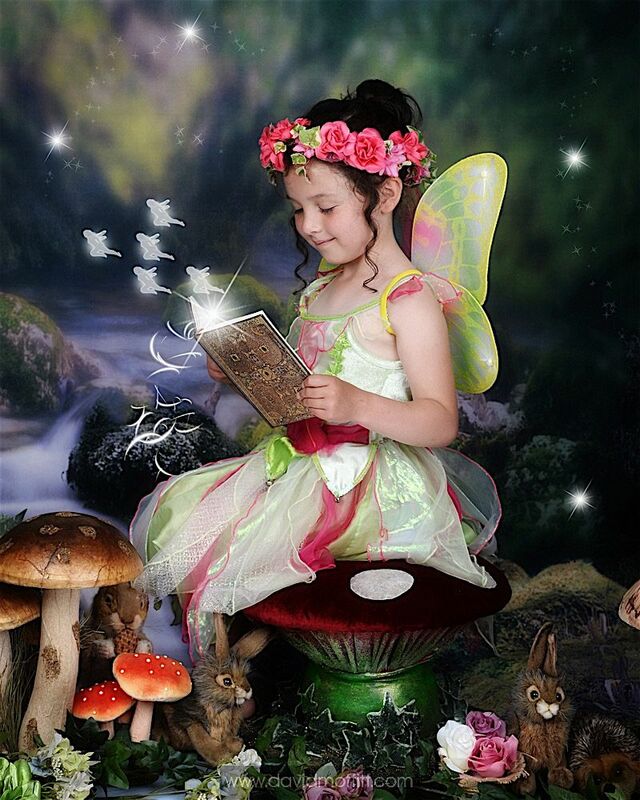 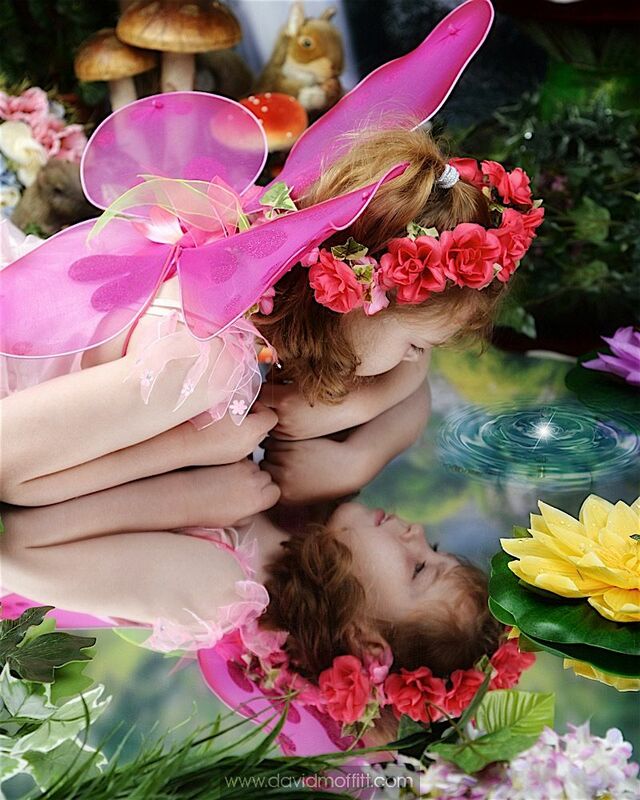 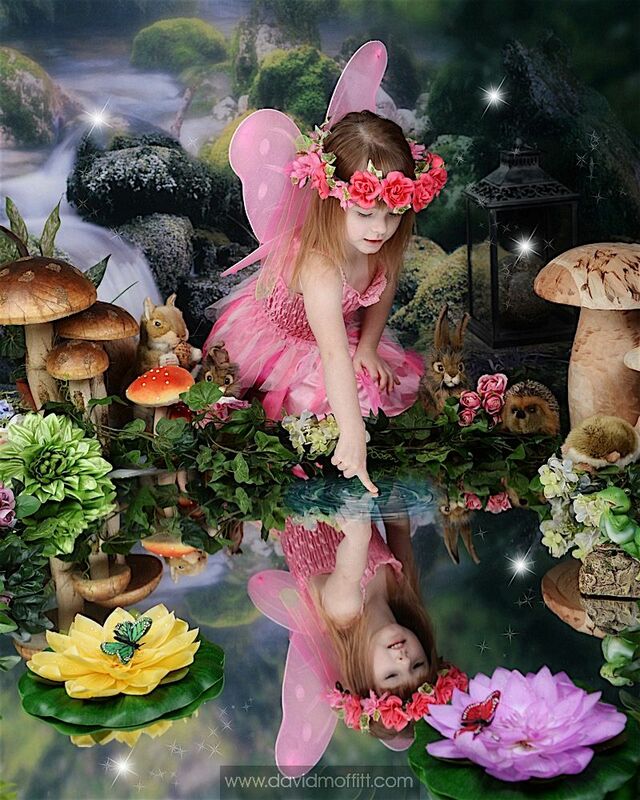 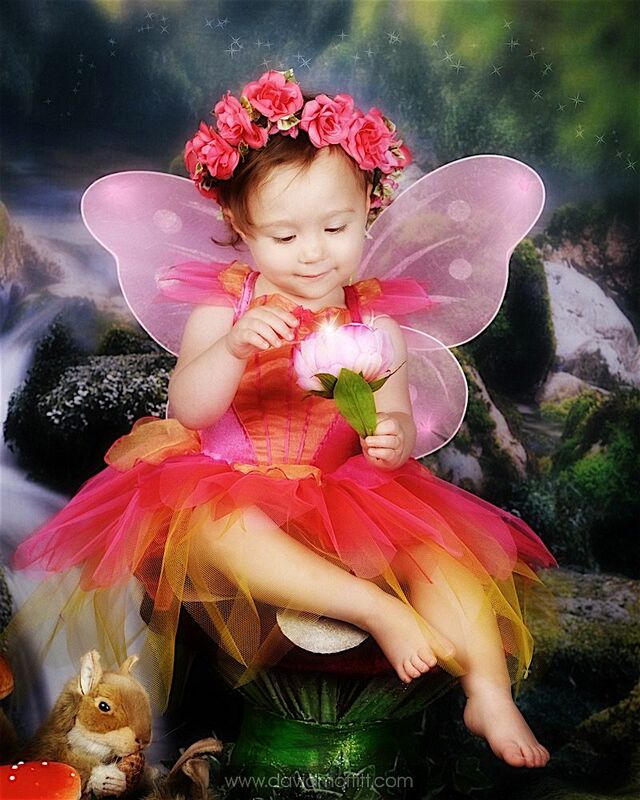 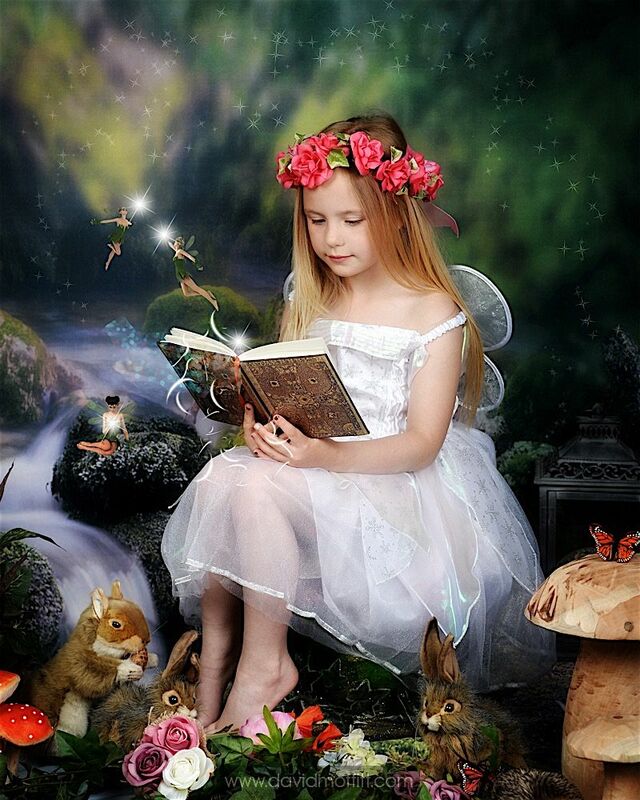 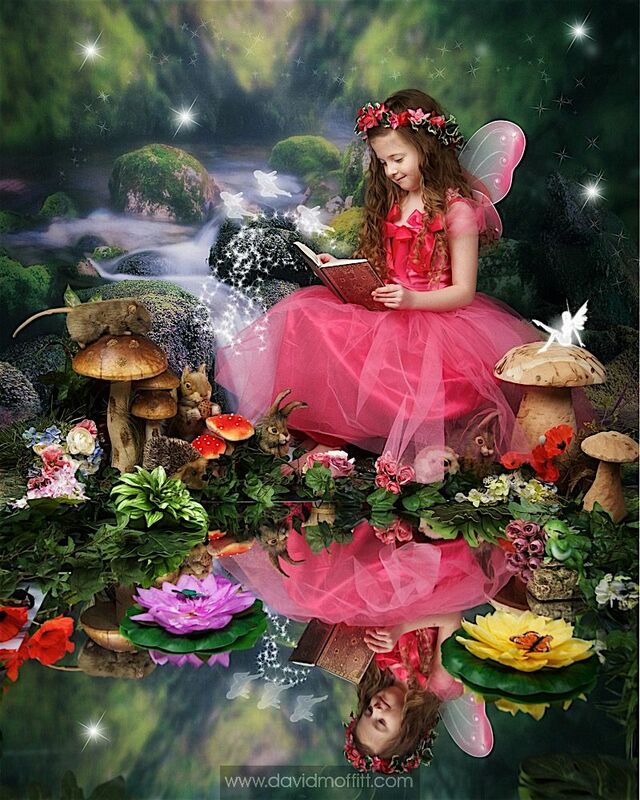 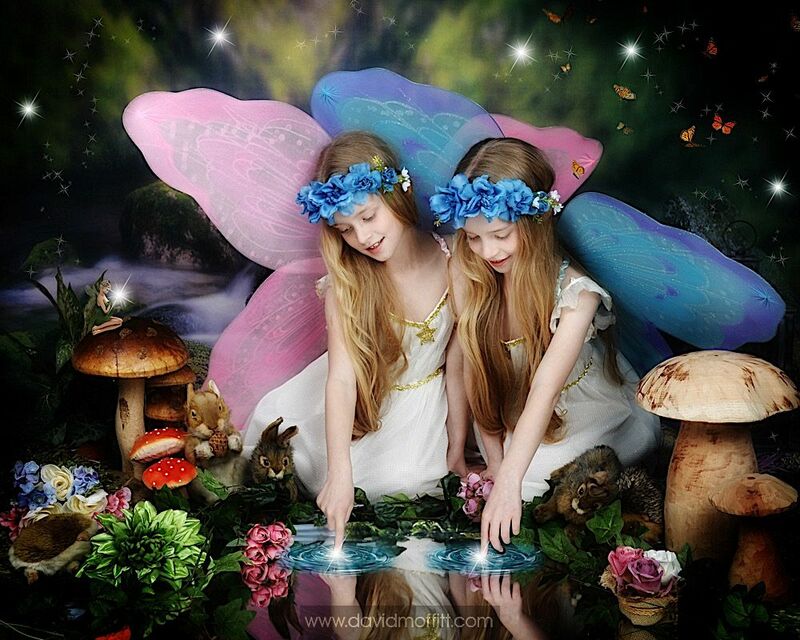 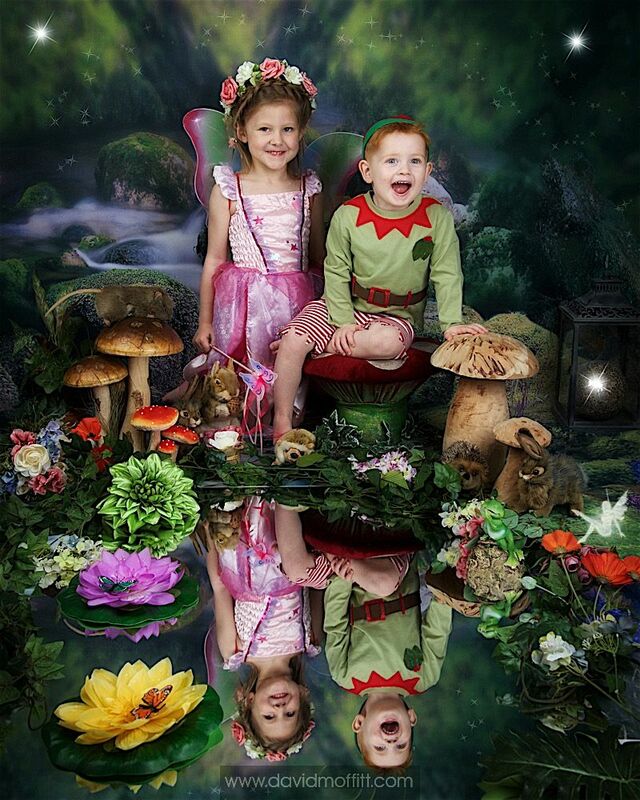 Little ladies from 9 months to 10 years old and boys up to 7 years old can join the fantasy World as they dress up like a fairy or elf for a 30 minute photo shoot. 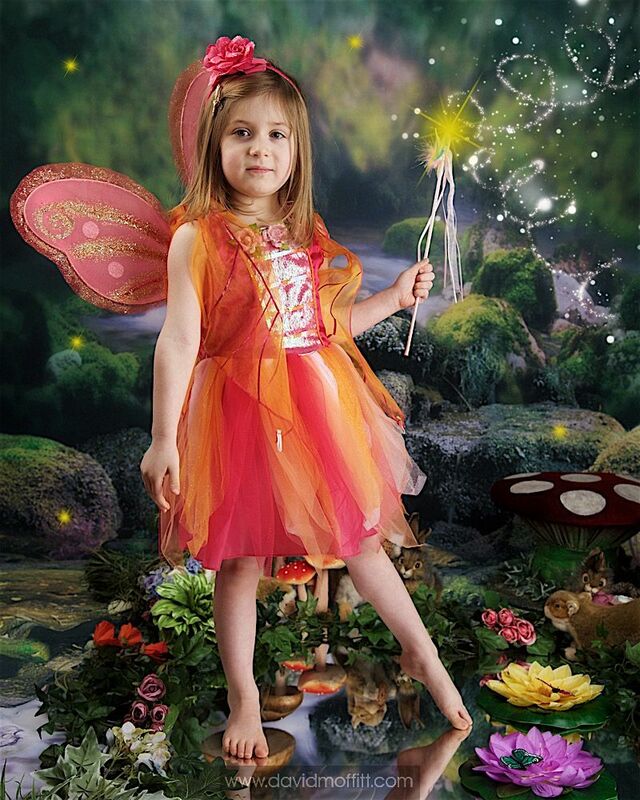 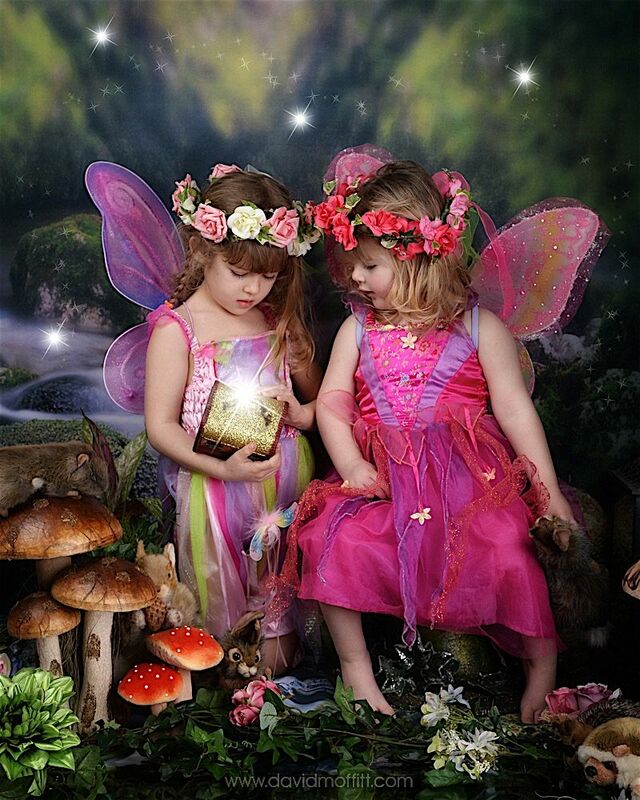 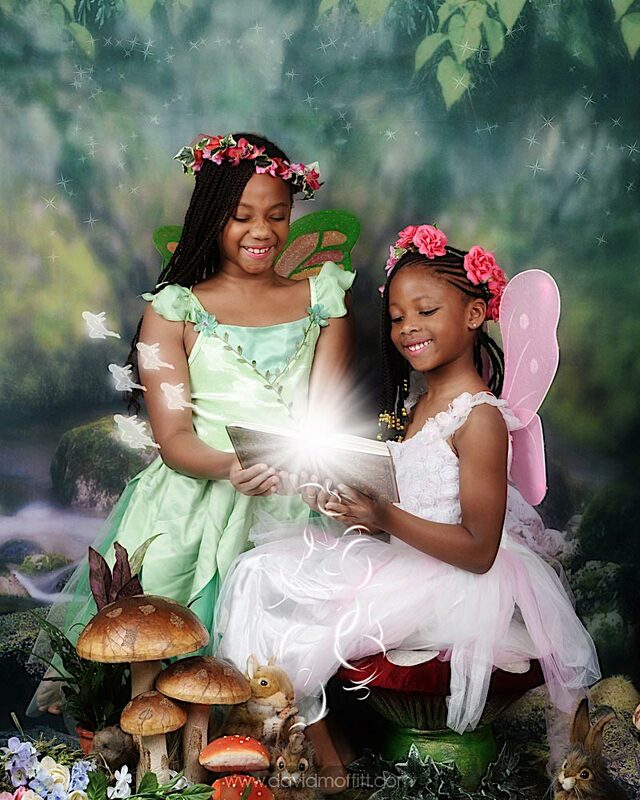 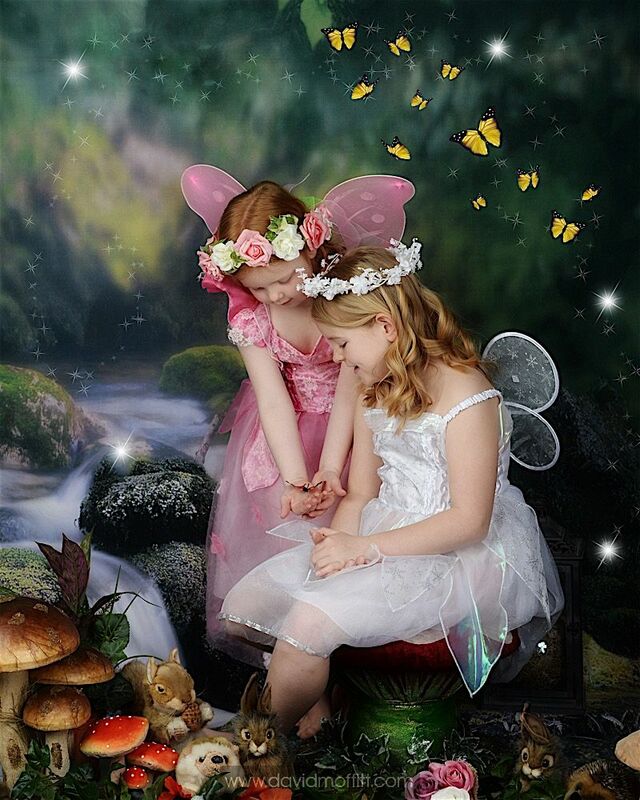 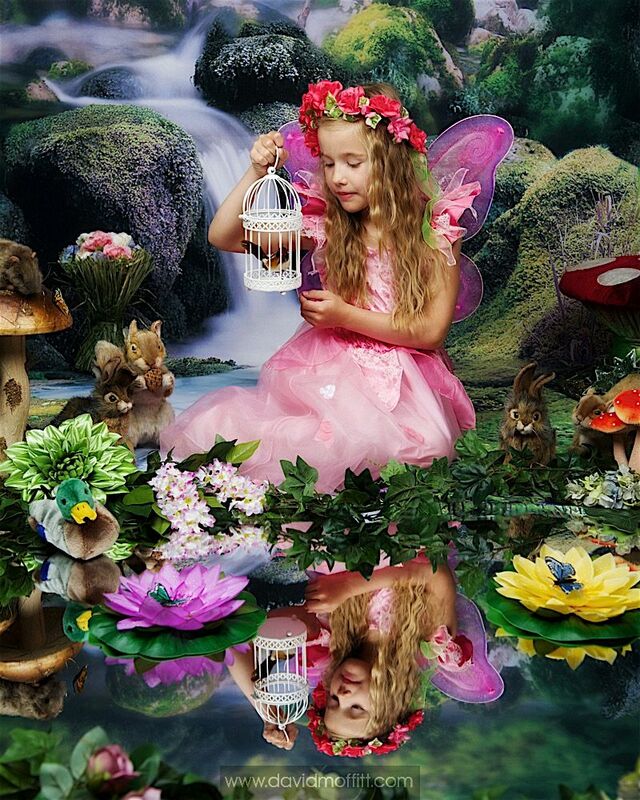 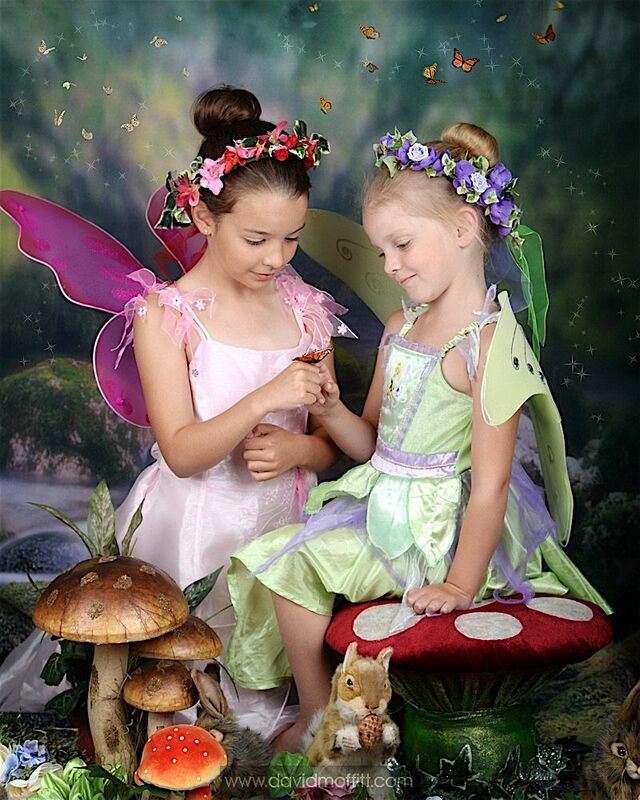 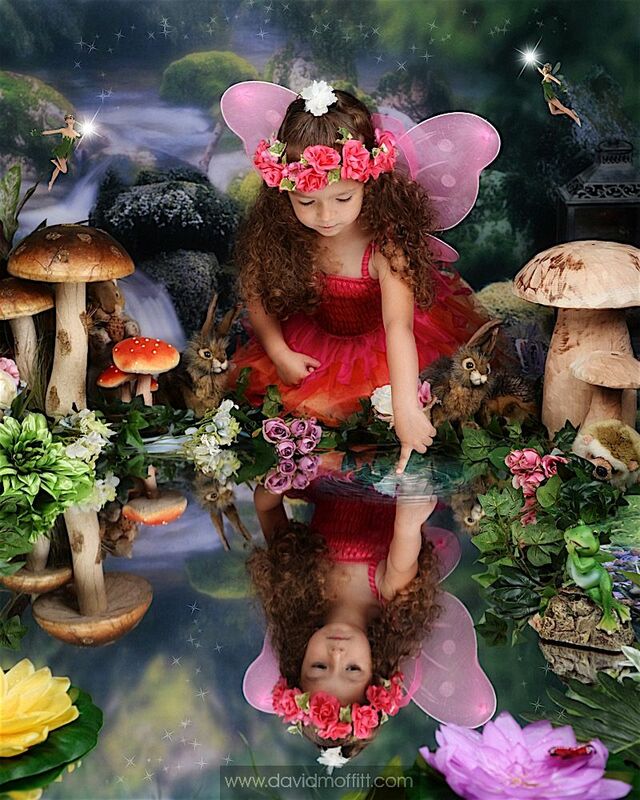 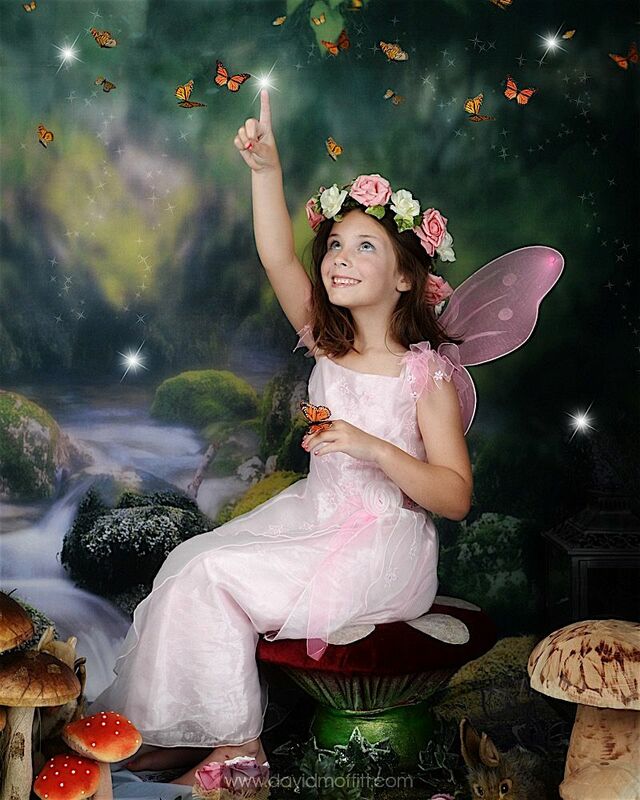 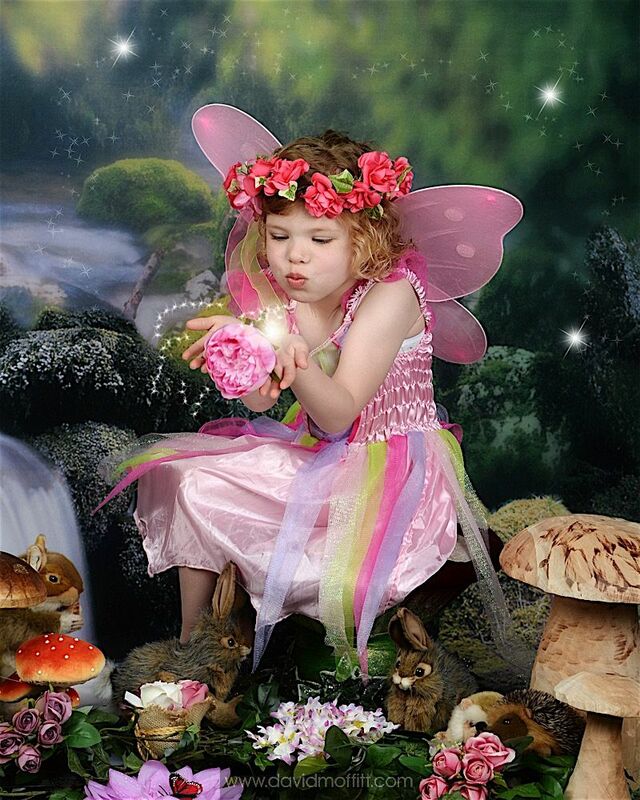 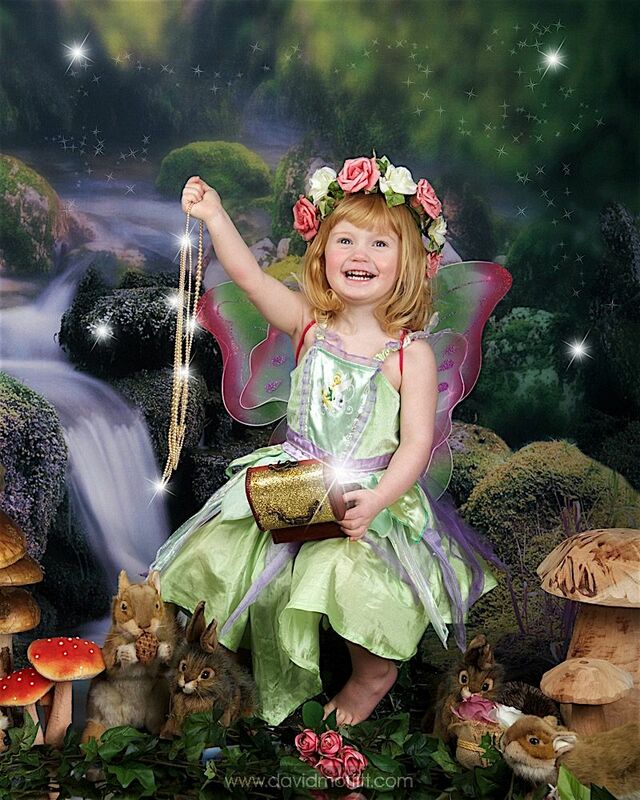 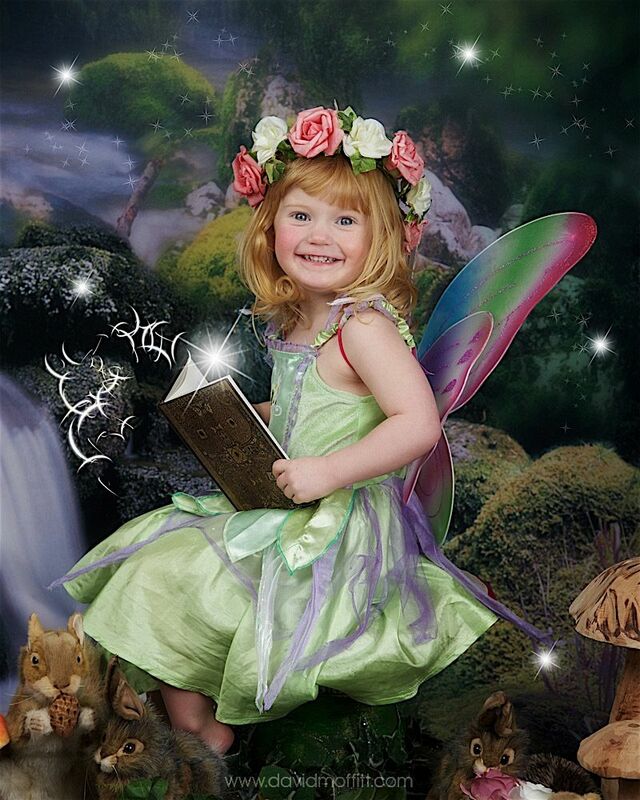 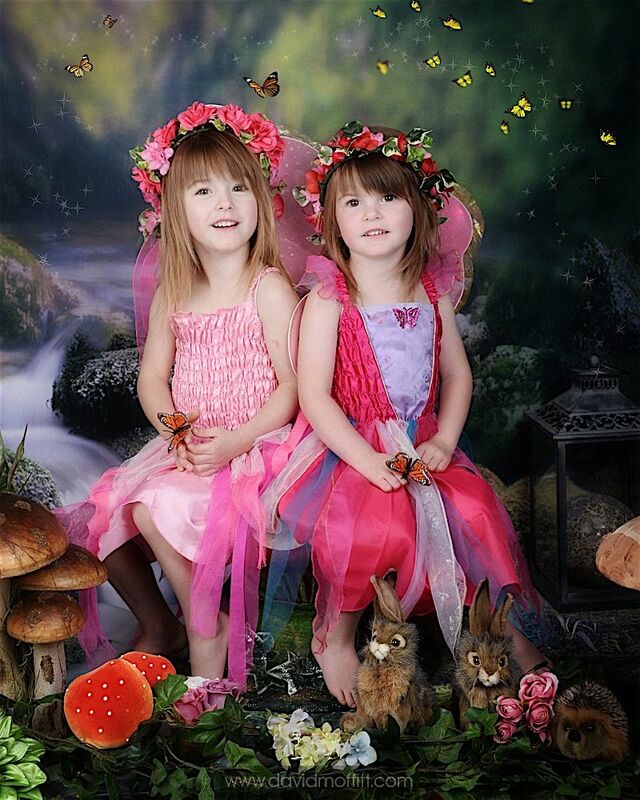 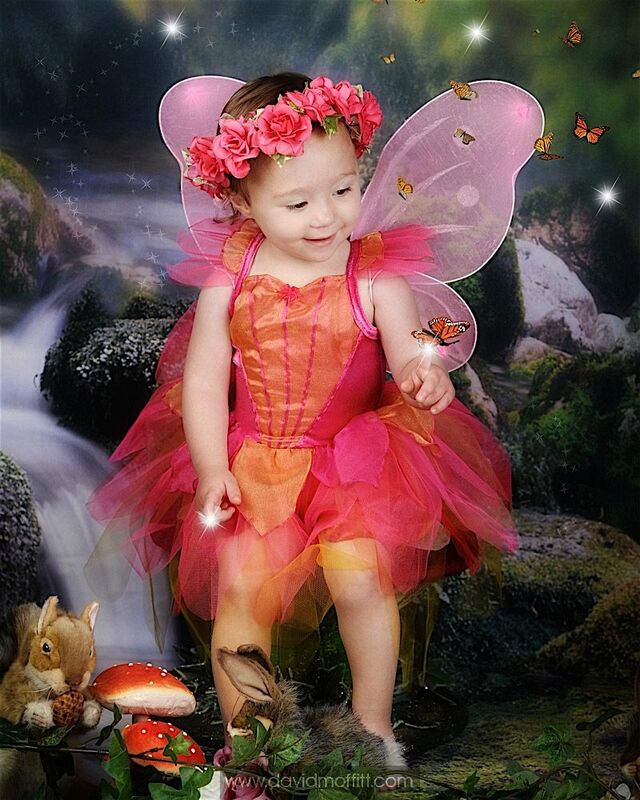 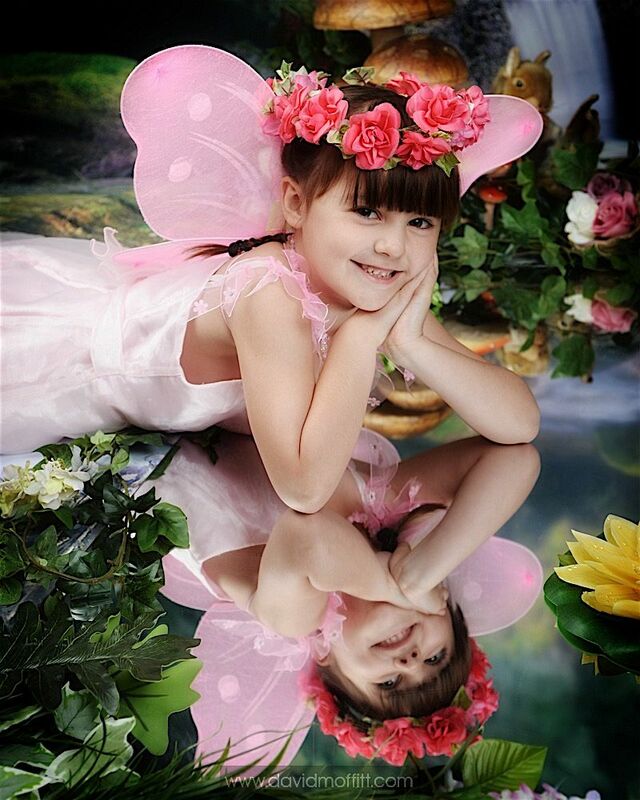 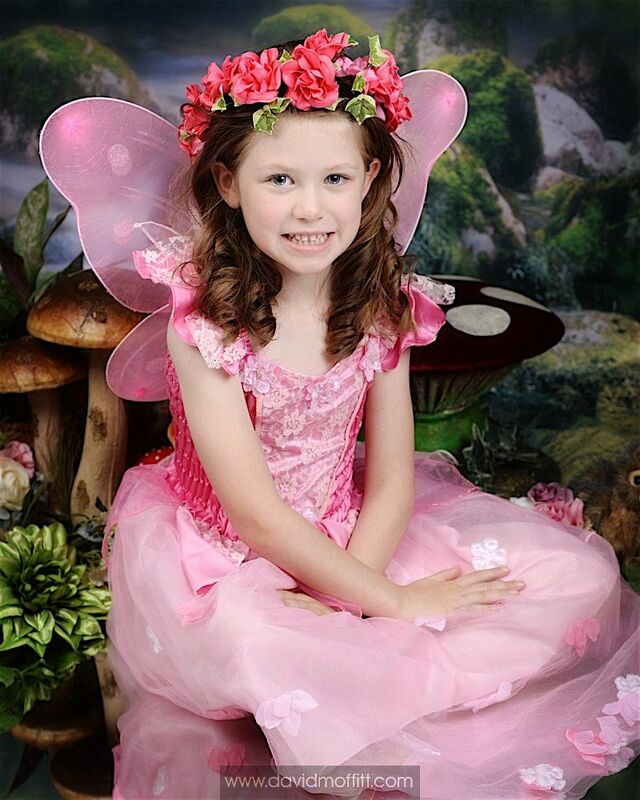 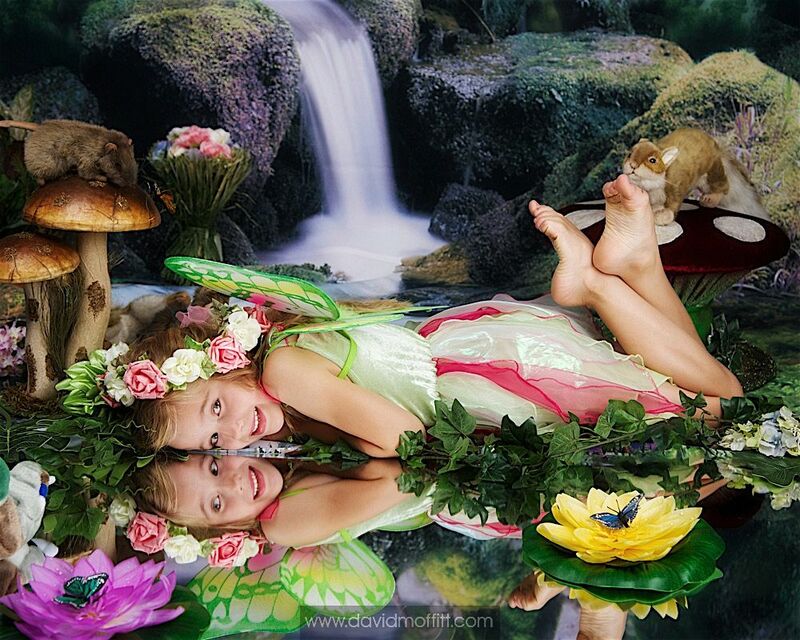 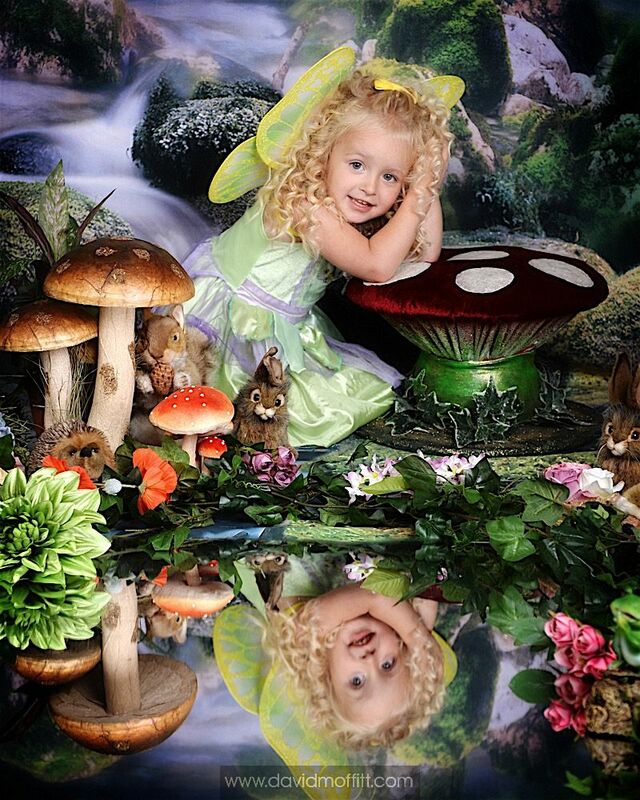 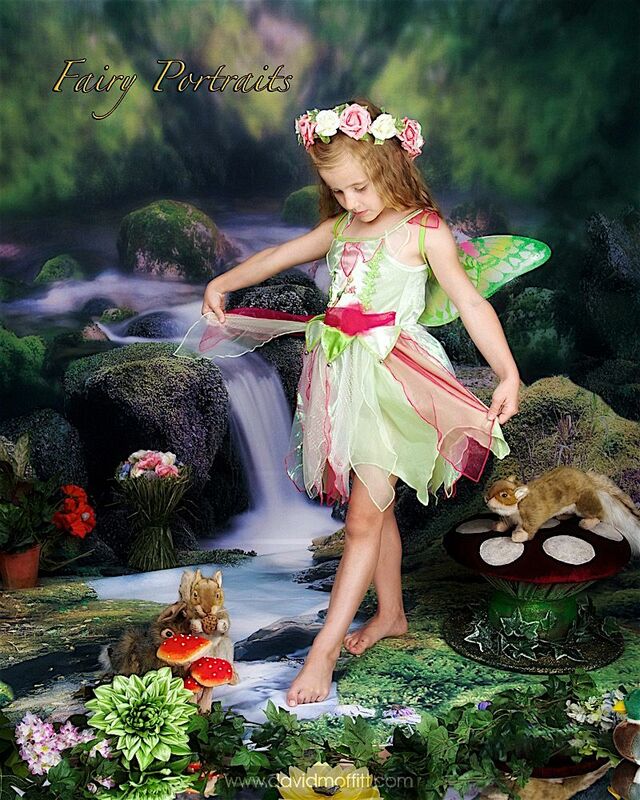 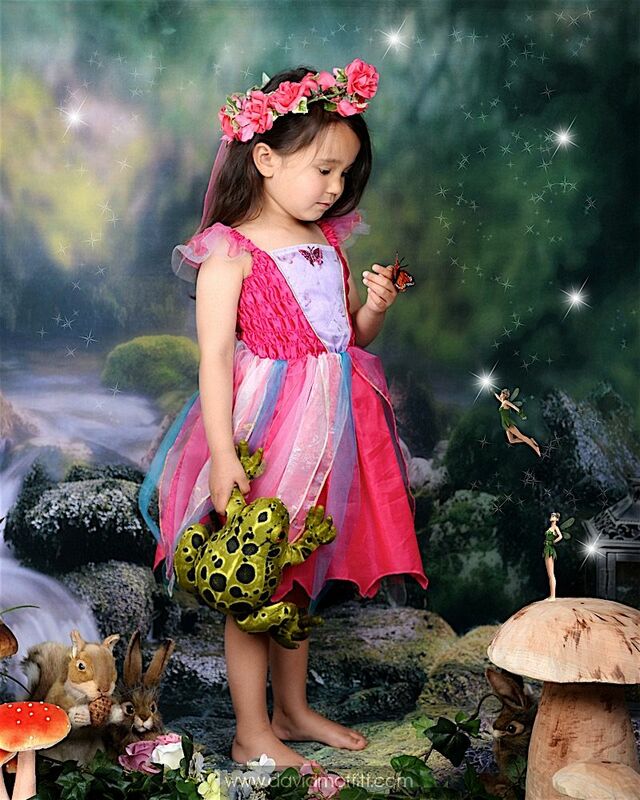 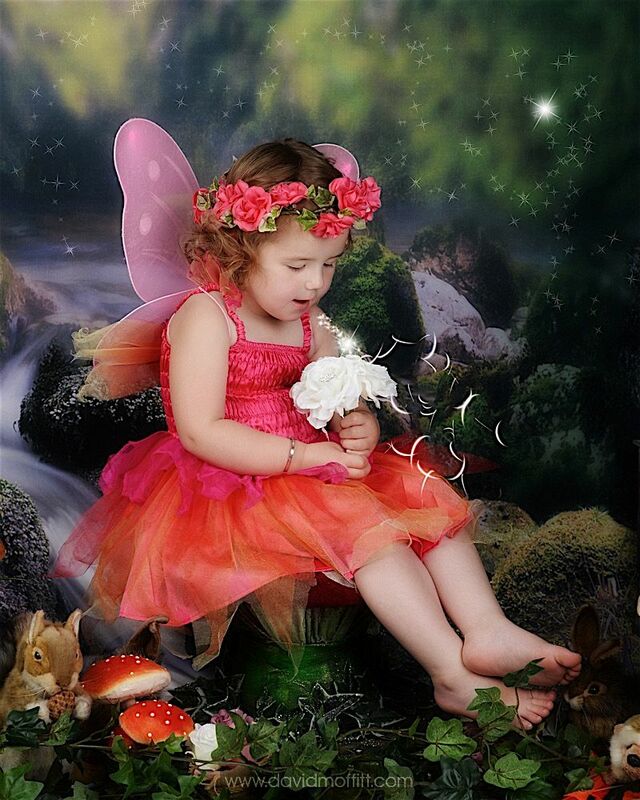 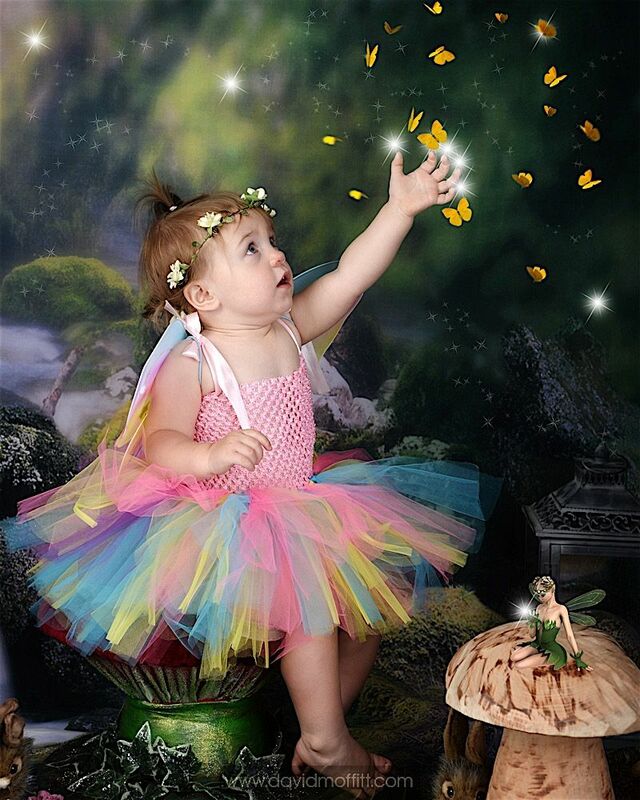 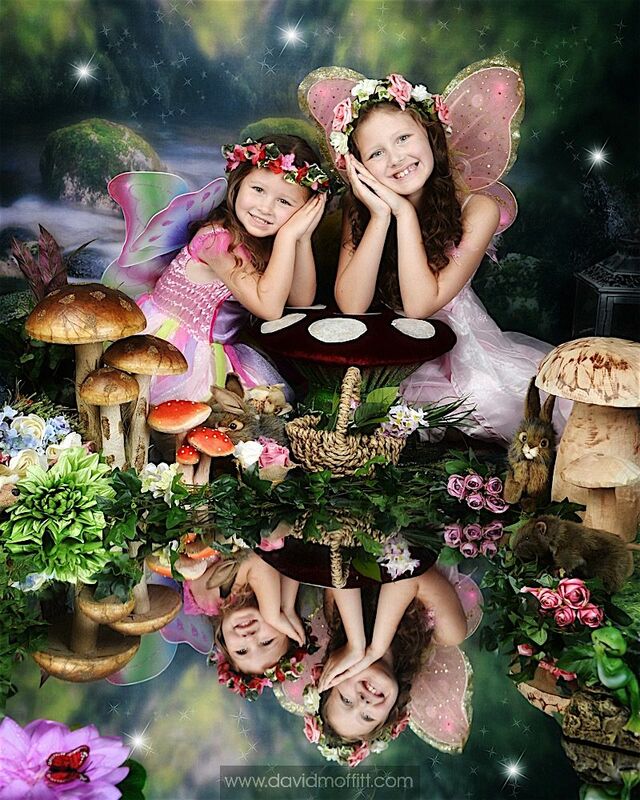 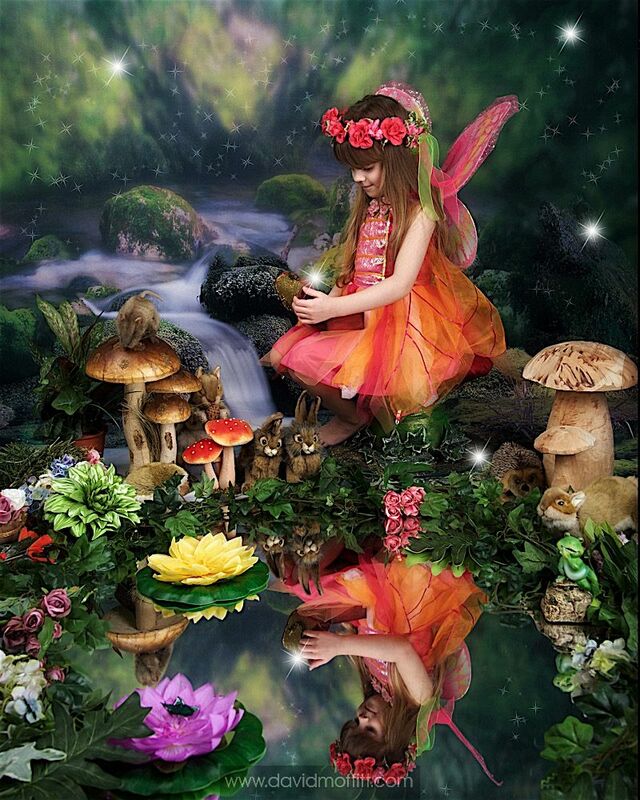 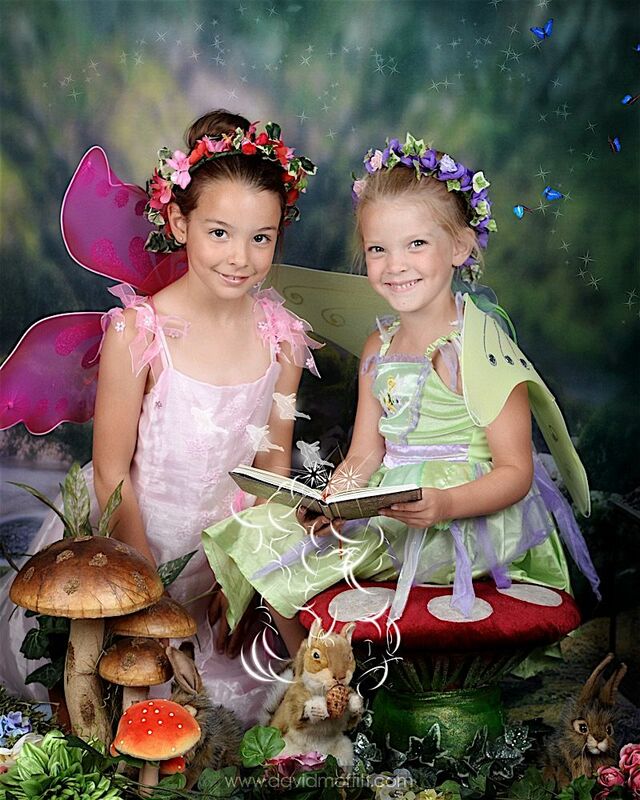 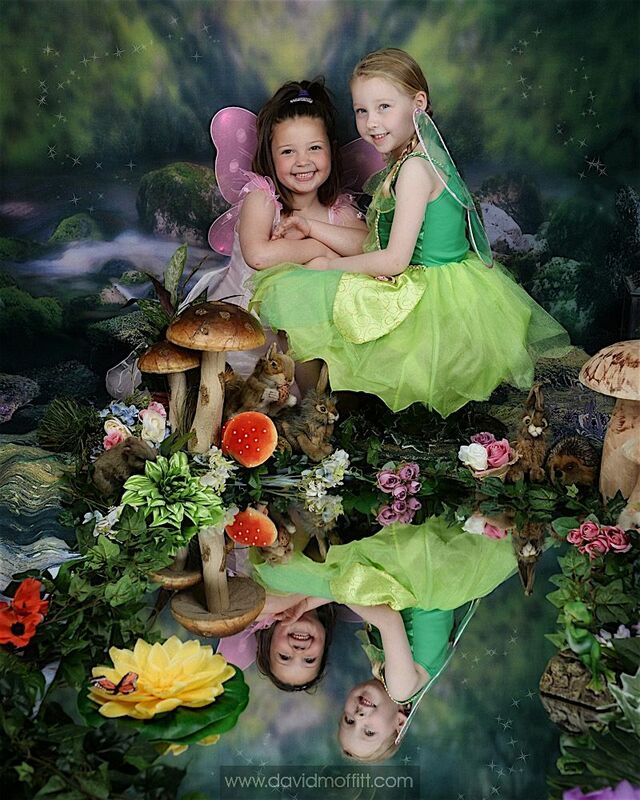 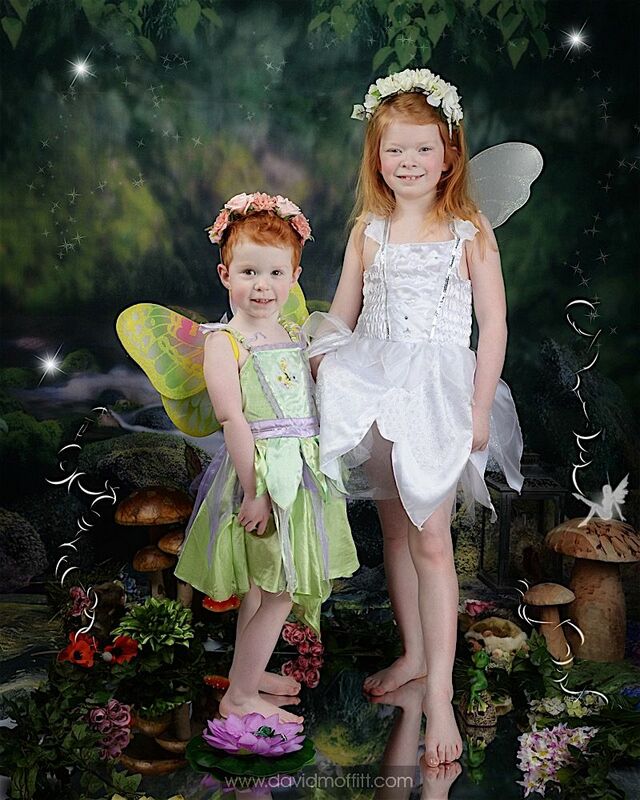 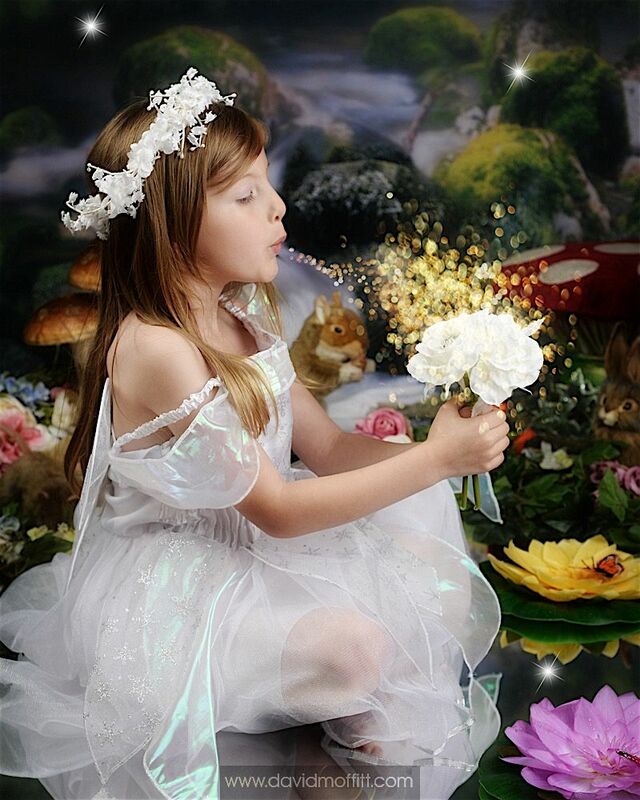 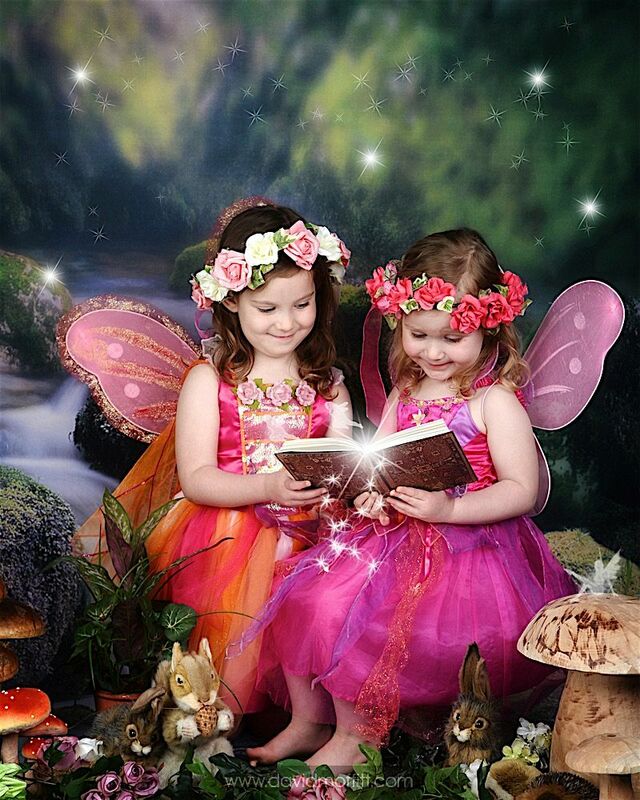 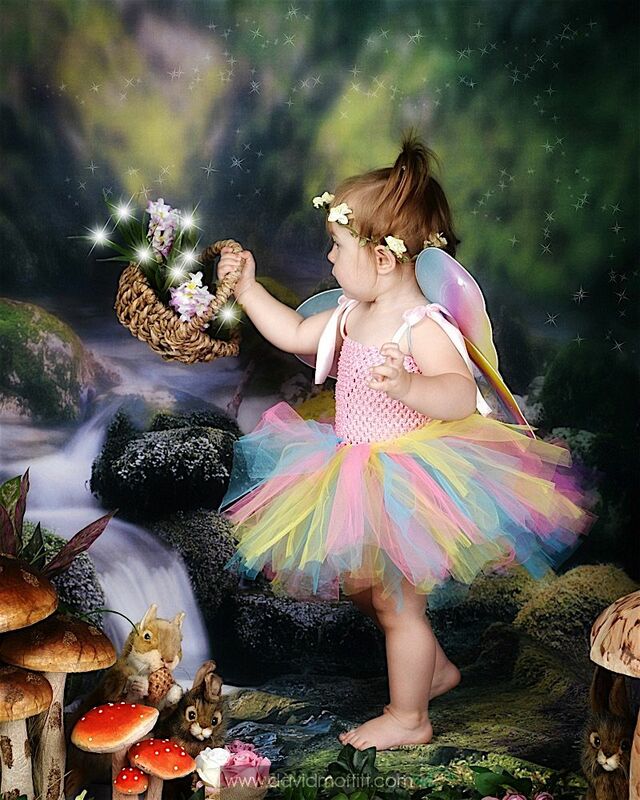 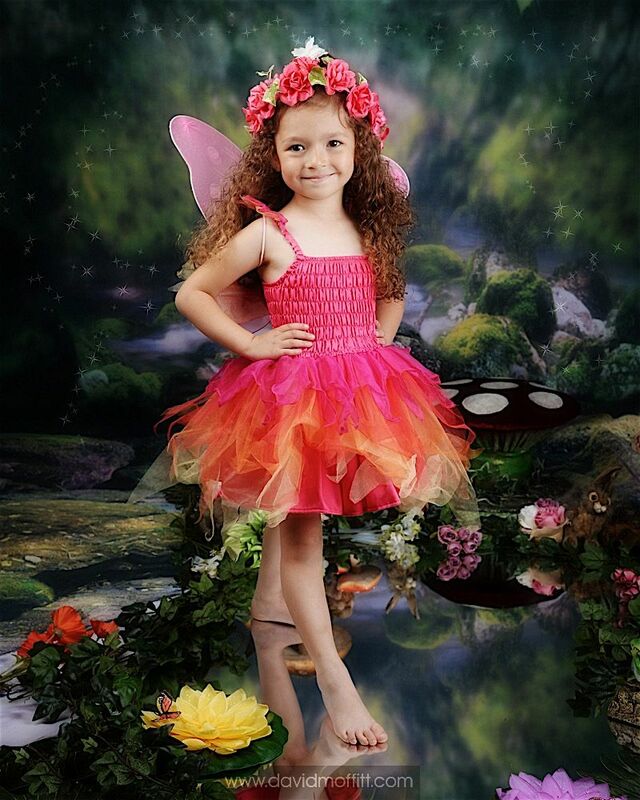 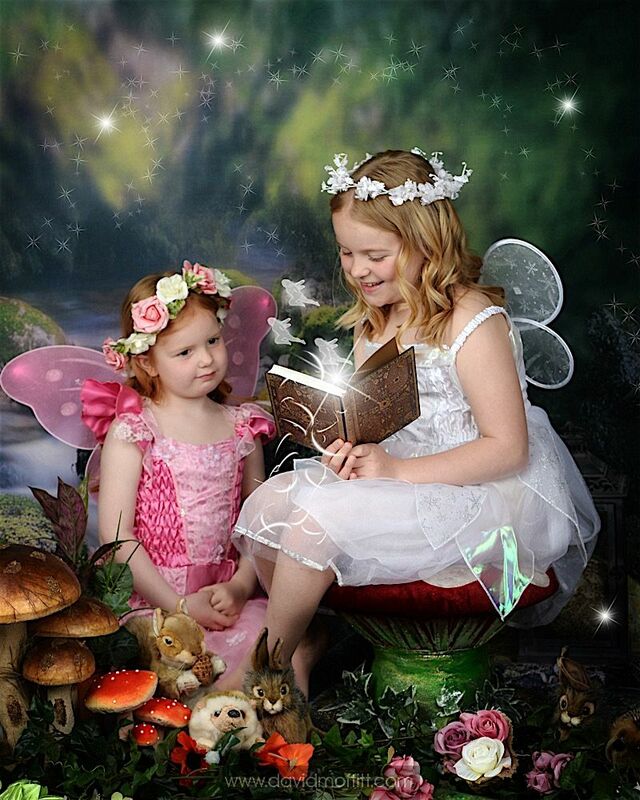 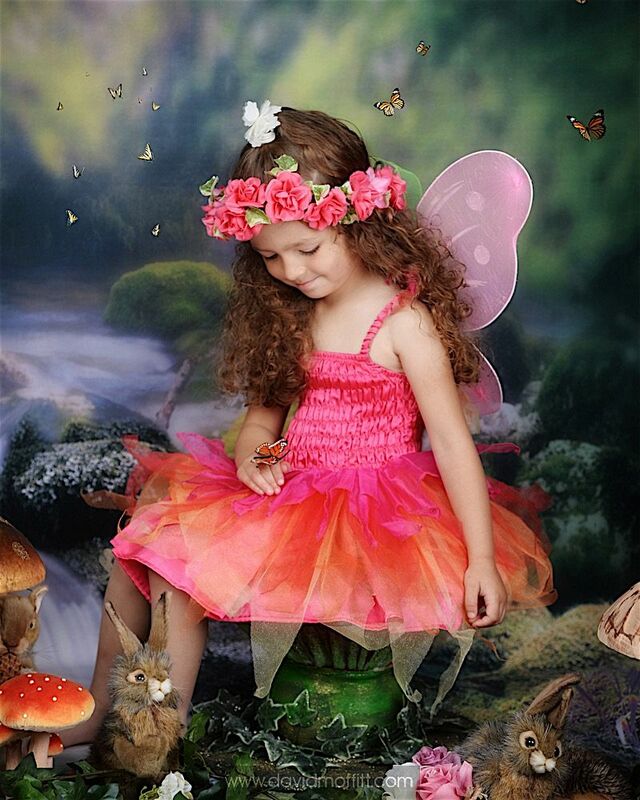 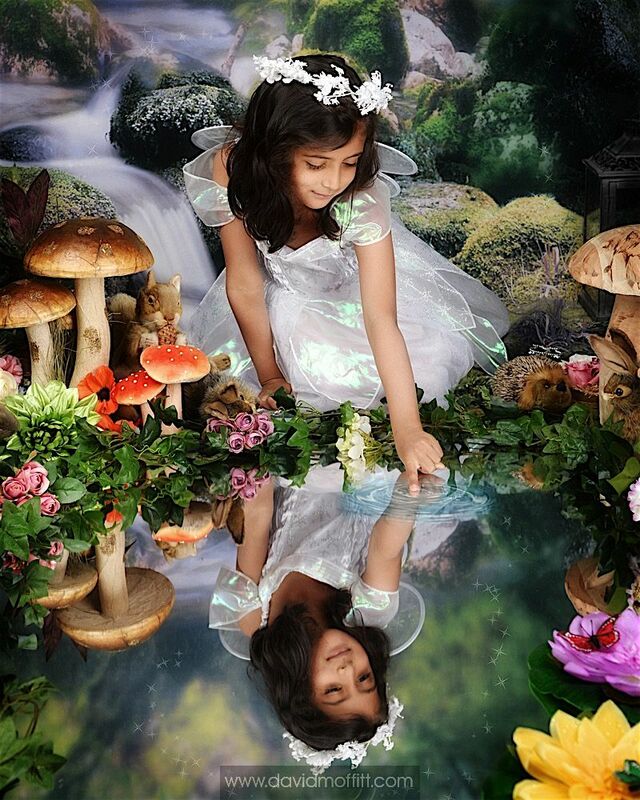 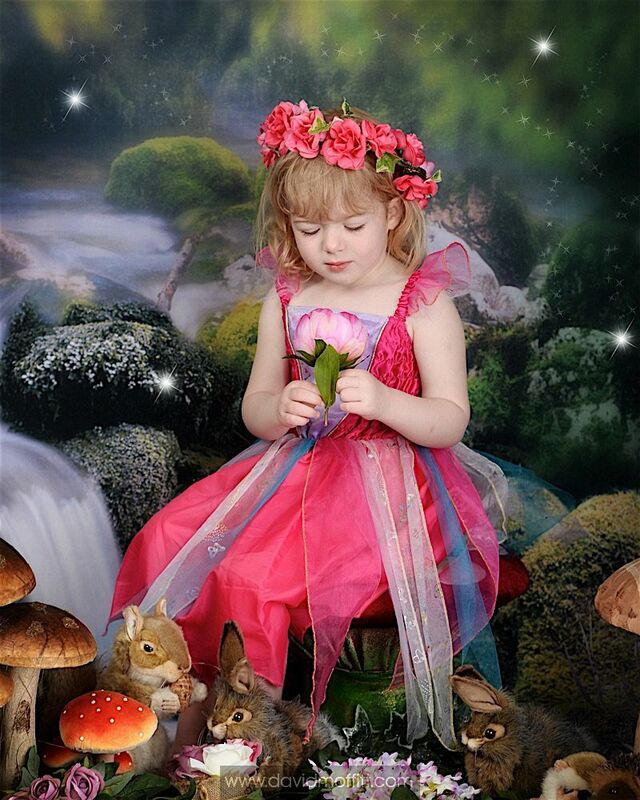 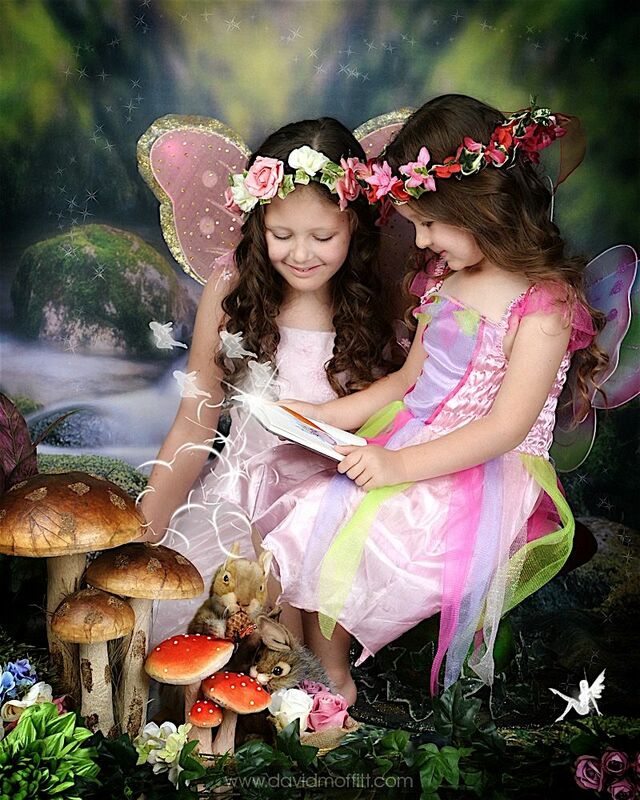 With a choice of outfits to choose from, sprites in the making can pose in our fairyland backdrop. 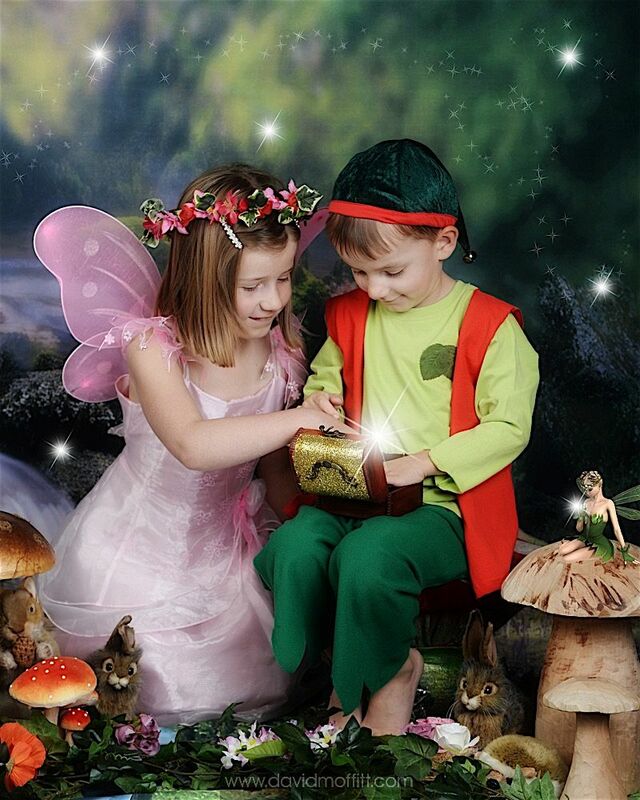 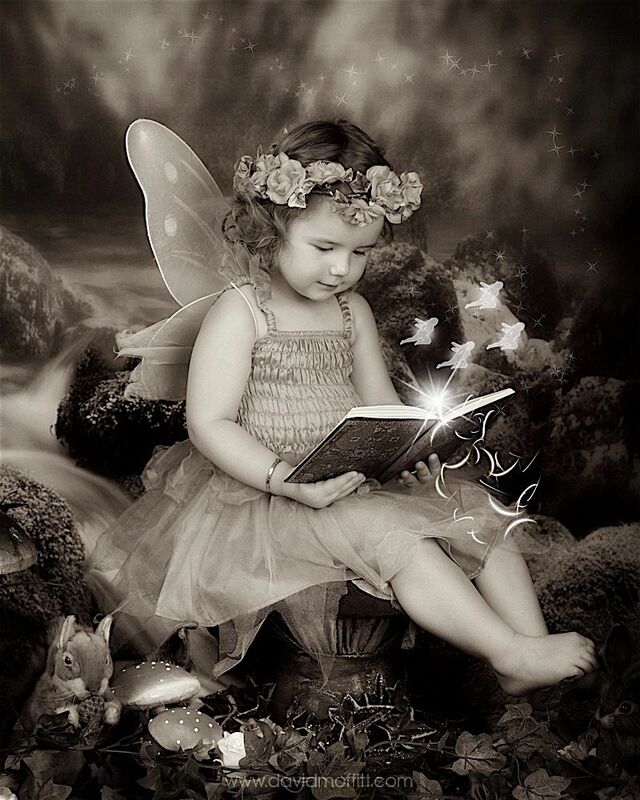 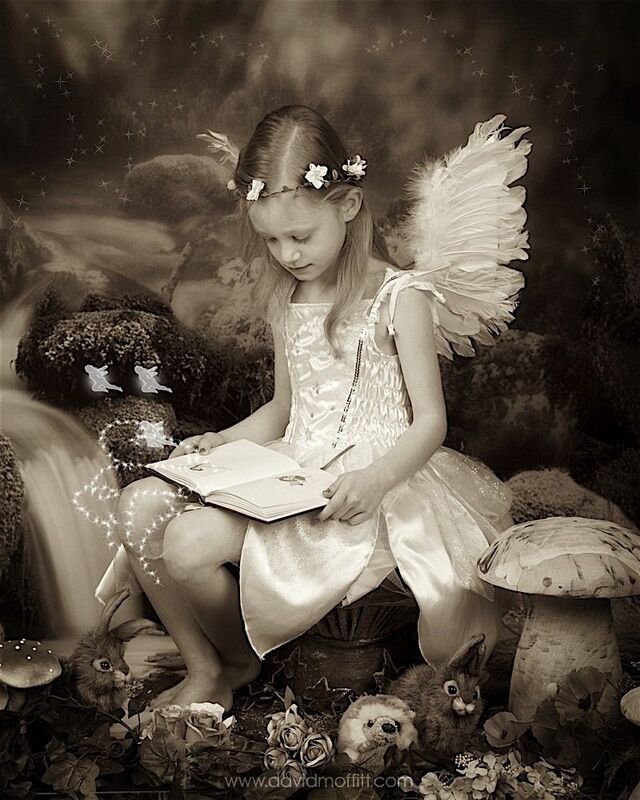 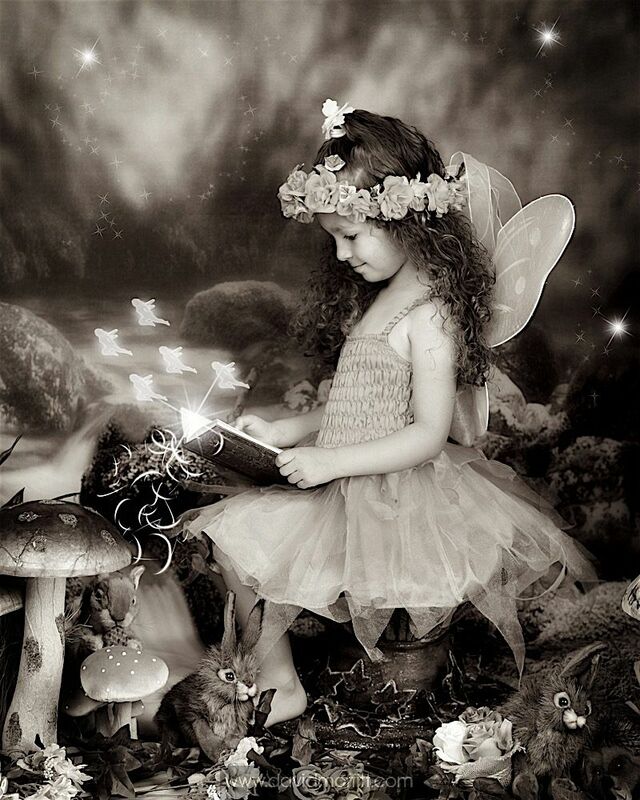 All children will receive a Fairy or Elf certificate to prove how good they have been. 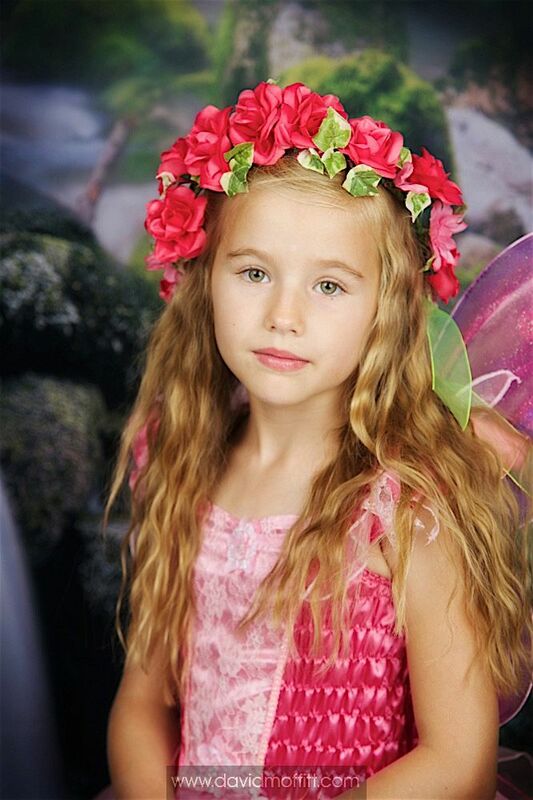 To start this fantastic magical journey, please complete the online form and we will contact you. 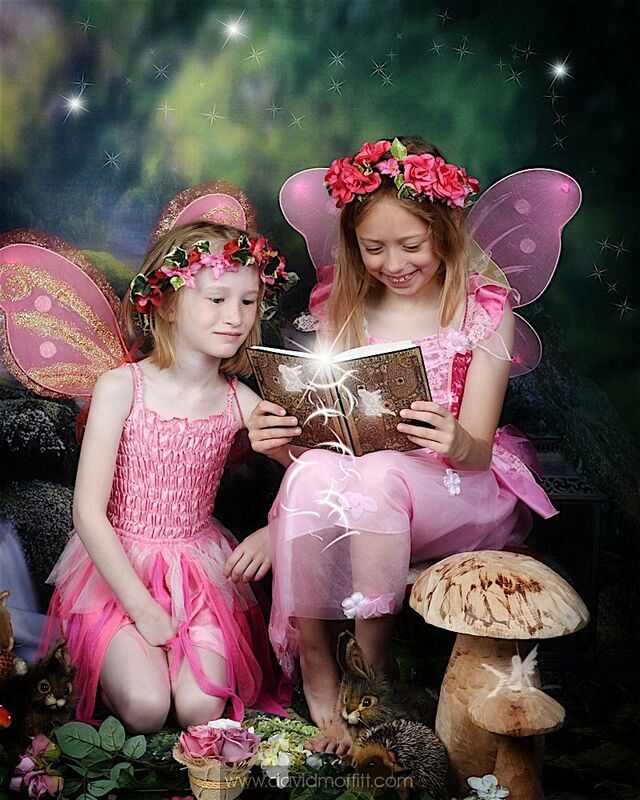 A fully refundable booking fee of £20 is required at the time of booking. 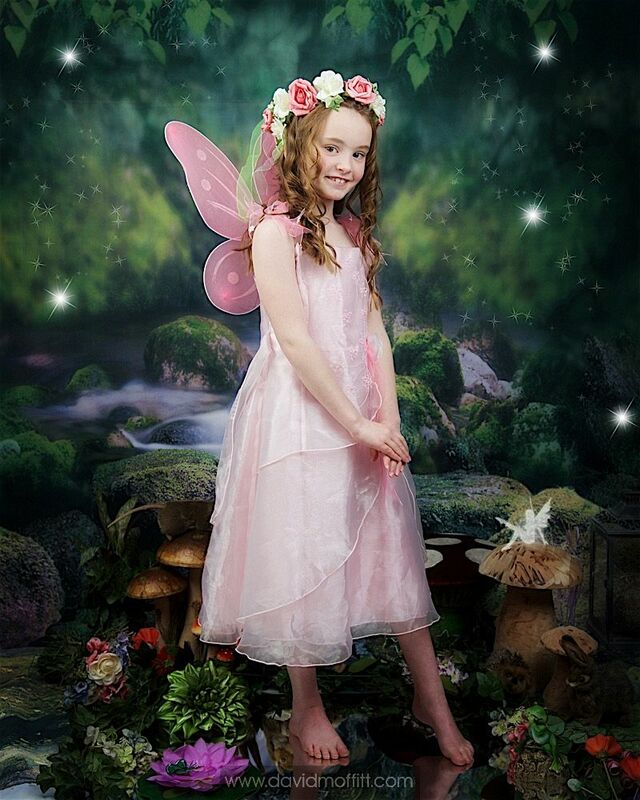 Please register your details below and we will call you to discuss your session & make an appointment or call us on 01709 872875 between 10am and 6pm. 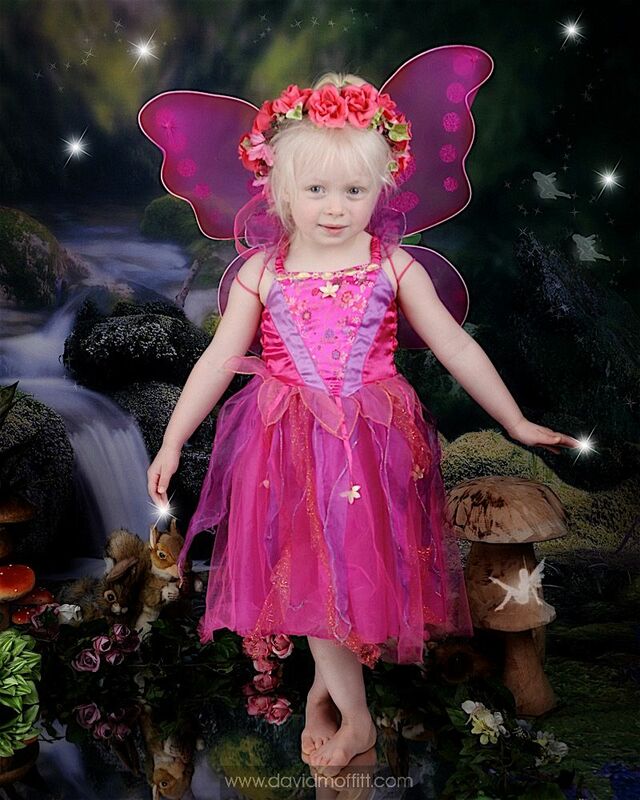 We are based in Wath upon Dearne, Rotherham, South Yorkshire. 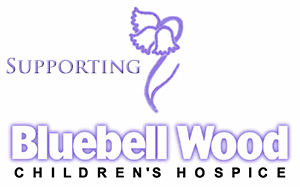 Bluebell Wood Children’s Hospice offers care and support to children with a shortened life expectancy, both in their own homes and at our hospice in North Anston. 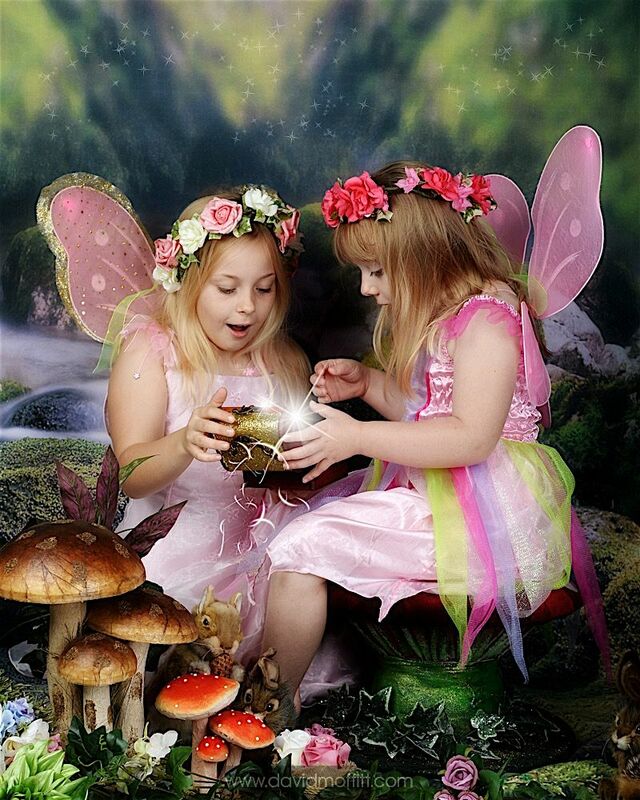 Bluebell Wood is a place filled with laughter and love. 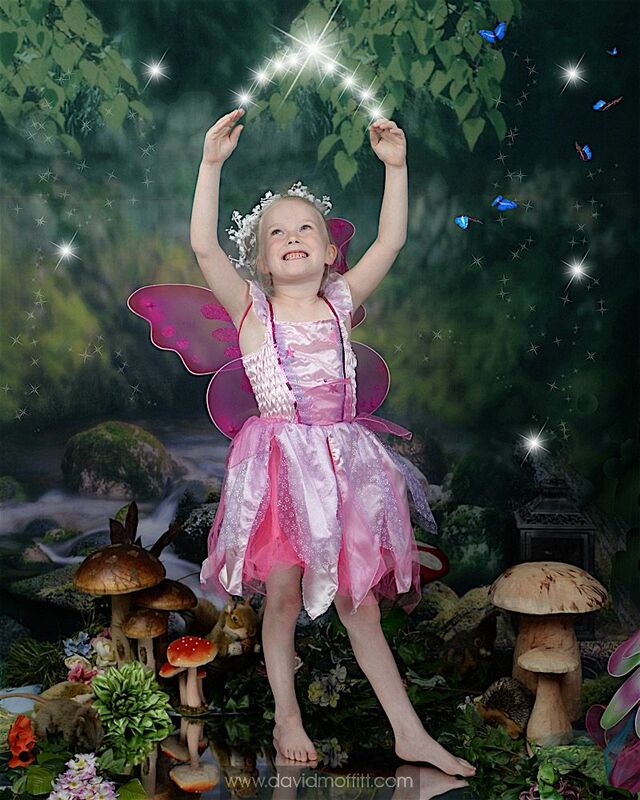 We give families the chance to relax, take a break and have fun, and we help support the whole family.